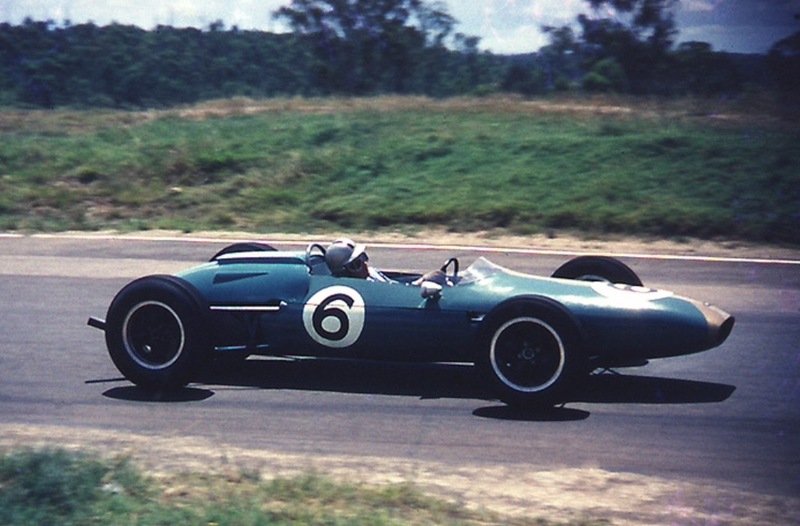 His differential failed on lap 21 of the ‘South Pacific Trophy’, victory went to the Scuderia Veloce Brabham BT4 Climax driven by Graham Hill from Bruce McLaren’s Cooper T70 Climax. 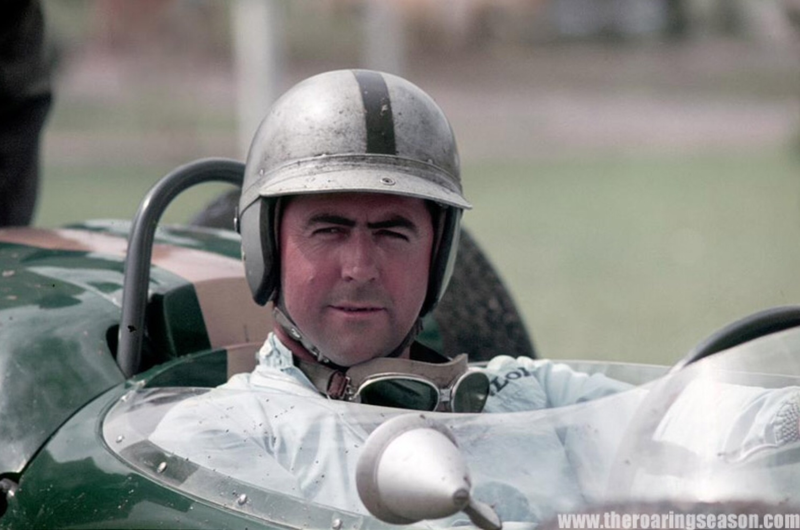 I’ve accumulated a heap of photos of Jack Brabham, many of which are ‘human interest’ type shots taken in the paddock or at other important events. I’ve packaged them up in chronological order with some comments around the shot or the event, I hope you enjoy the selection. This photo is late in Jack’s speedway career, I’m not sure which chassis he is aboard above, he travelled to the UK in 1955 remember. 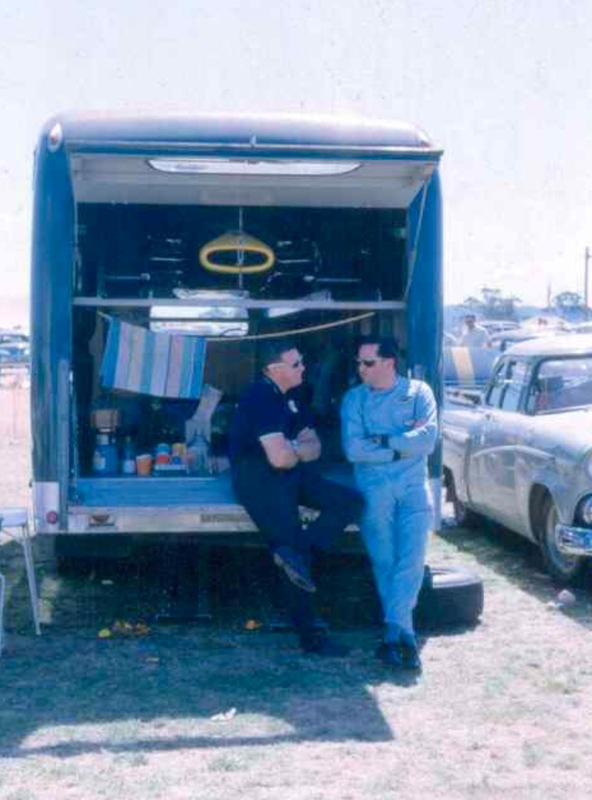 In 1948 and 1949 he won the Australian Speedcar Championship in his #28 JAP 880 Midget. 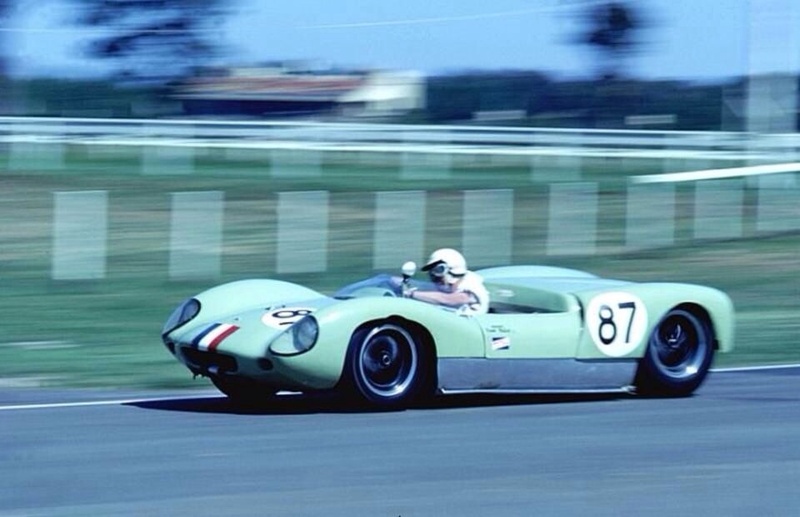 In ’54 he was also racing his highly developed road racing Cooper T23 Bristol, contesting amongst many other events the ’54 AGP at Southport and the NZ GP at Ardmore. It was his showing in NZ which was one of the factors which convinced him to try his hand in Europe. 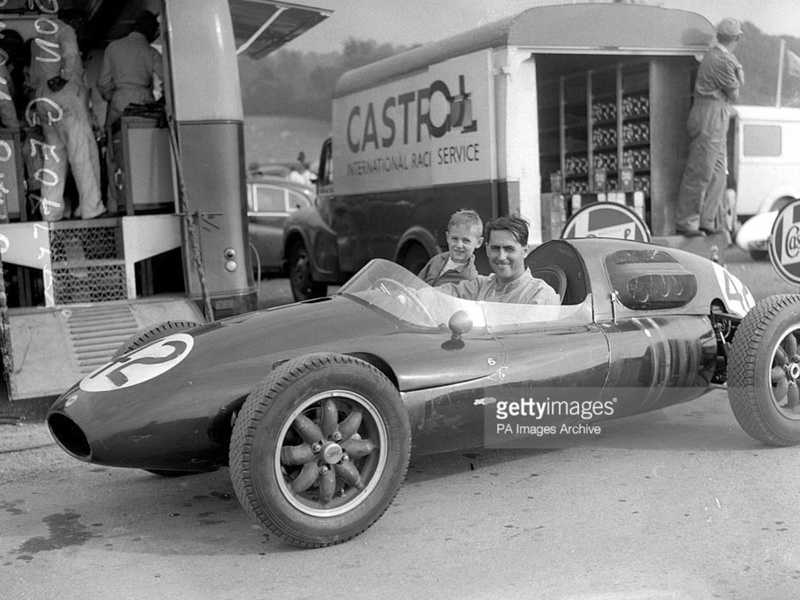 Brabham’s first road racing competition was with his dirt midget, fitted with four- wheel brakes he won the 1951 Australian Hillclimb Championship in it at Rob Roy, in Melbourne’s outer east at Christmas Hills! 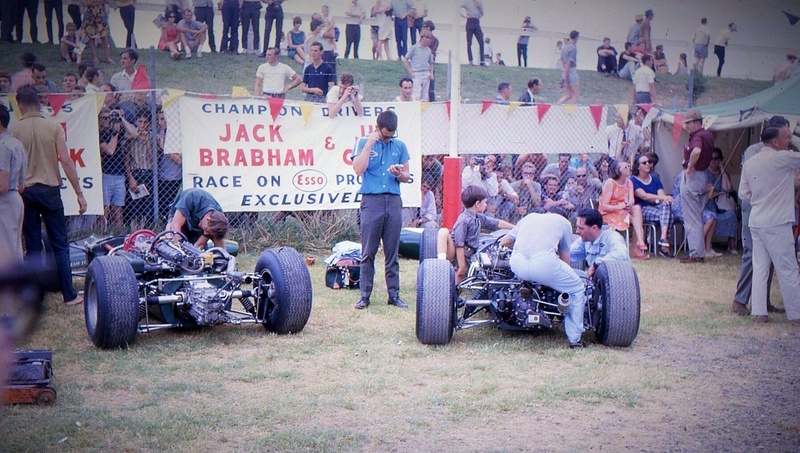 Jack and Geoff Brabham in the Brands paddock prior to this F2 race, he won both heats from two other Cooper T43’s of George Wicken and Ronnie Moore. 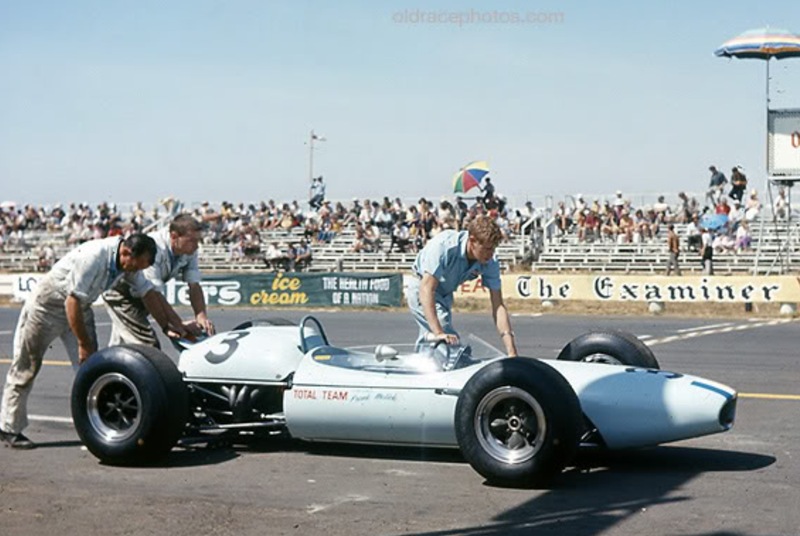 That season Brabham also won F2 events at Brands in June, the London Trophy at Crystal Palace, the Prix de Paris at Monthlery and the International Gold Cup at Oulton Park. In Grands Prix he contested the Monaco, French, British and Pescara events driving 2 litre FPF powered T43’s, his best, sixth place at Monaco. 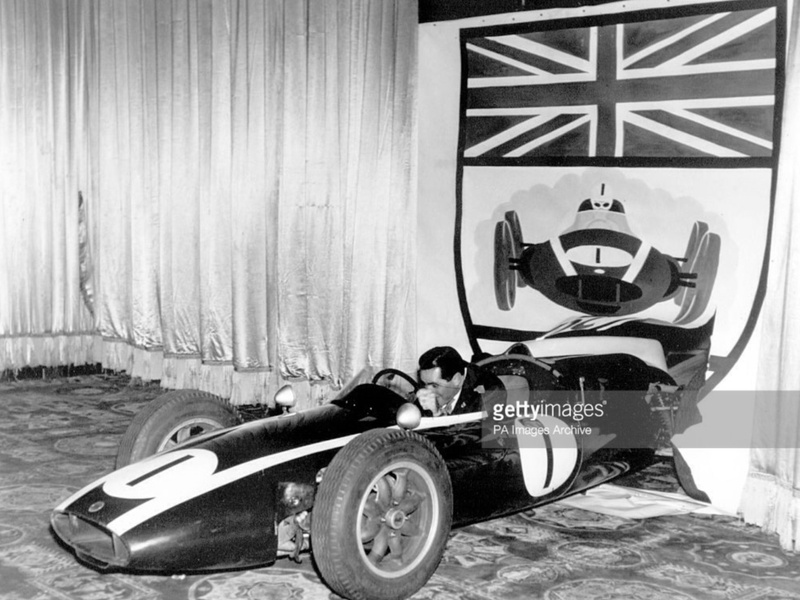 Quite literally, Jack motors into the Dorchester Hotel, London ballroom to be presented with a BRDC Gold Star in 1960. 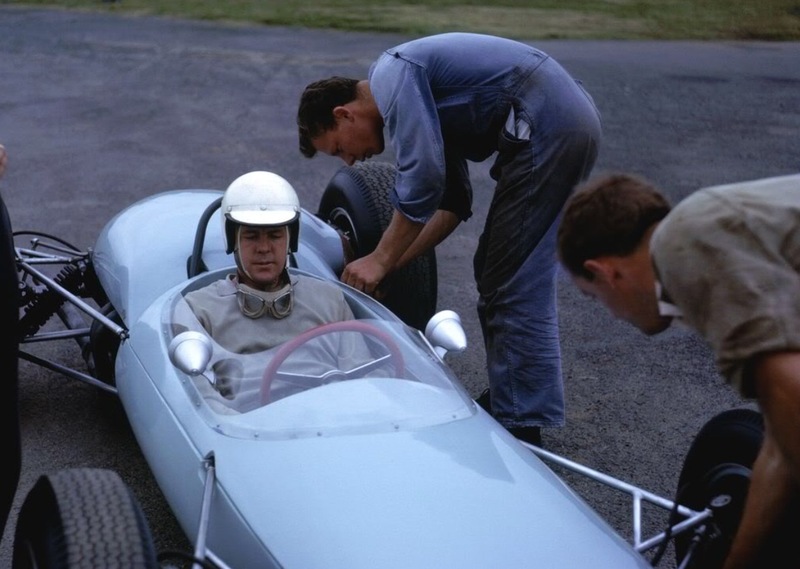 By then he had won two World Titles on the trot of course, in Cooper T51 and T53 Climax in 1959 and 1960 respectively. Two great buddies, Jack instrumental in Bruce going to Europe and in ploughing the same path Bruce took with his own cars, three years later. Jack has just left Cooper’s and ran a private ex-works Cooper T55 Climax 2.7 FPF in the Australasian Internationals that summer. 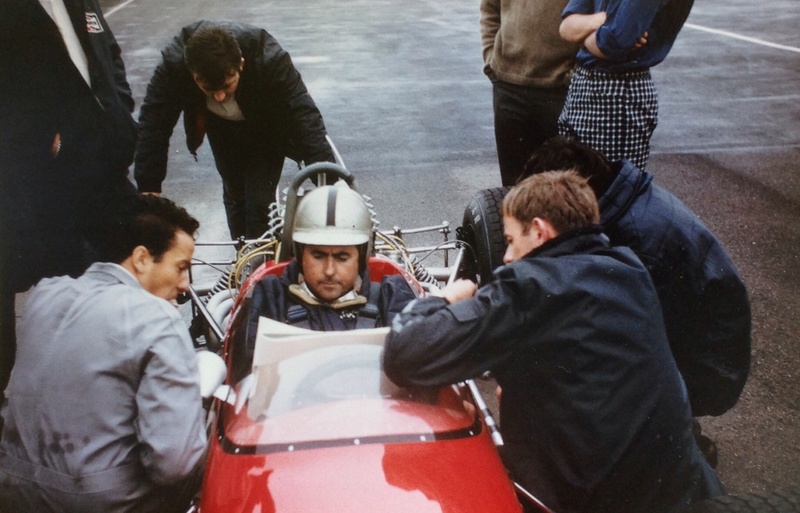 Bruce also ran a Cooper T53 Climax FPF 2.7, like Jack, his own equipe prepared and entered the car. Jack won the ‘Sandown Park International’ on the Sunday with Bruce third behind John Surtees in another (Yeoman Credit) T53 FPF 2.7. 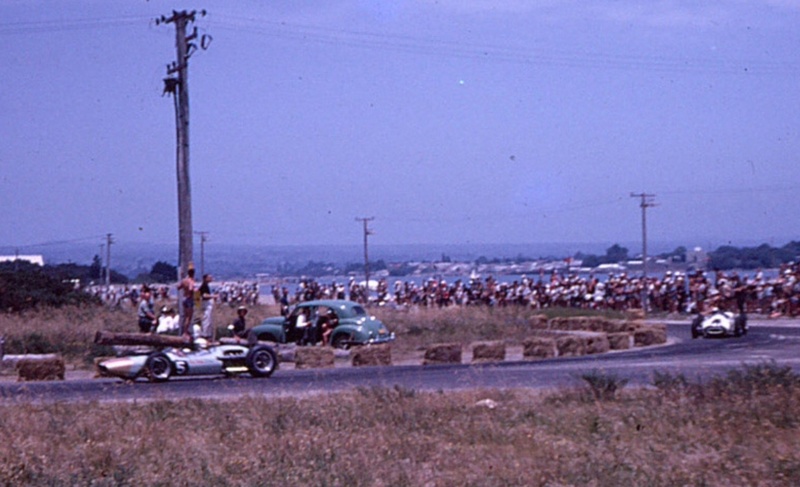 It was the opening meeting of the Sandown circuit, built as it is within the confines of a horse-racing facility. Its still in use, long may it continue! Which Cooper are they leaning on? Dunno. 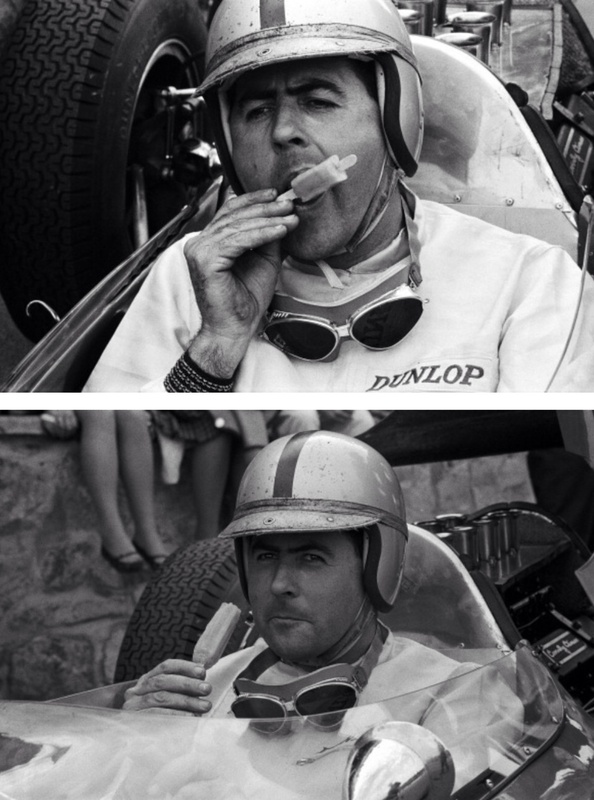 There are quite a few shots of Jack cooling down and warding off dehydration with a medicinal treat! 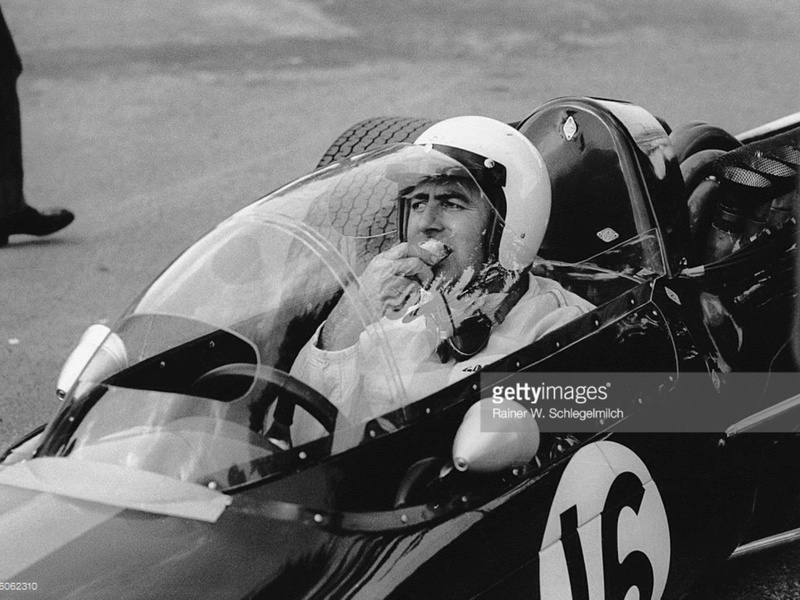 Here its aboard his Lotus 24 Climax during the 1962 Belgian GP weekend at Spa. 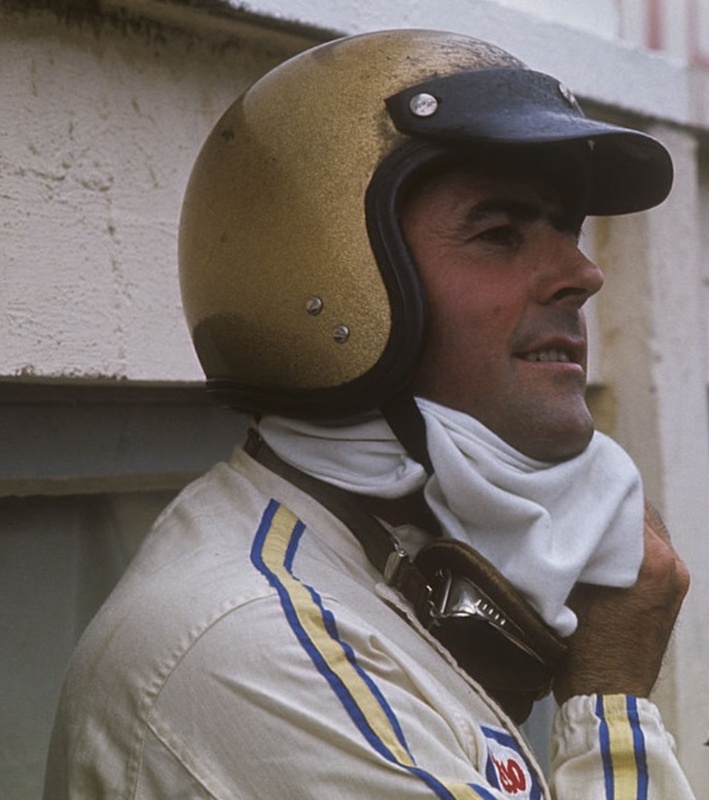 He was sixth in the race won by Jim Clark’s Lotus 25. 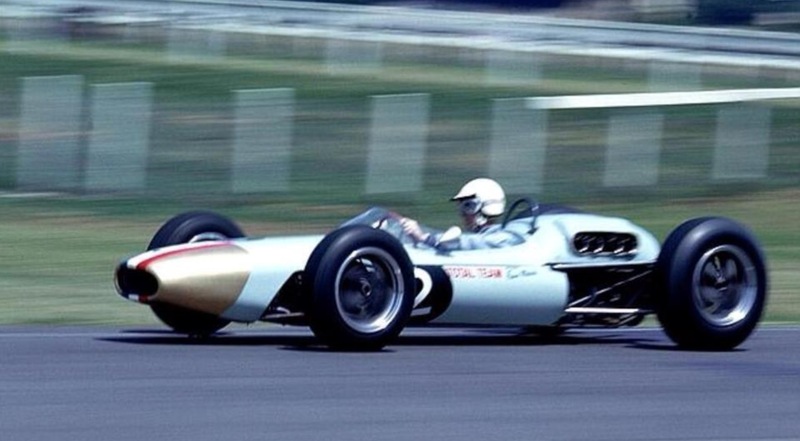 He left Cooper at the end of ’61 and raced the Lotus until the new Brabham BT3 was ready- its first appearance was in the German GP in early August. This is the business end of the ‘Intercontinental’ Brabham shot in this articles first photograph at Longford. 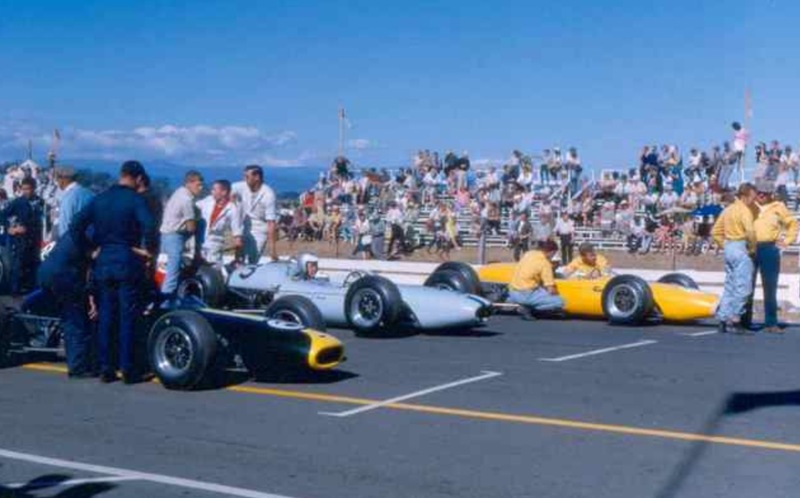 Bruce won the first ’64 Tasman Series in the ‘very first McLaren’ his self built Cooper T70 Climax but Jack had a pretty good tour winning three of the races with Graham Hill picking up another in the David McKay owned BT4 as did Denny Hulme in his Motor Racing Developments BT4. 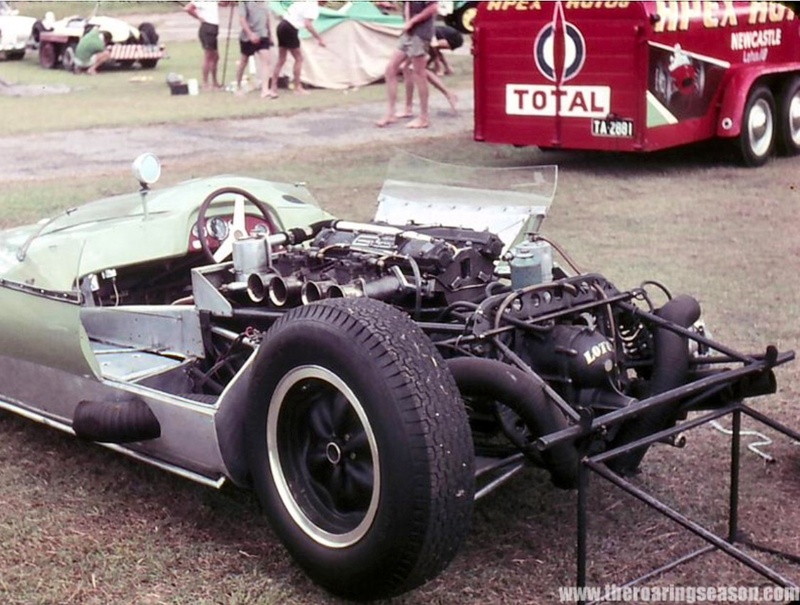 2.5 litre Coventry Climax FPF engine and using a Hewland HD5 gearbox- this very successful model, the BT7A and its BT11A successor won many races in Australasia and South Africa. 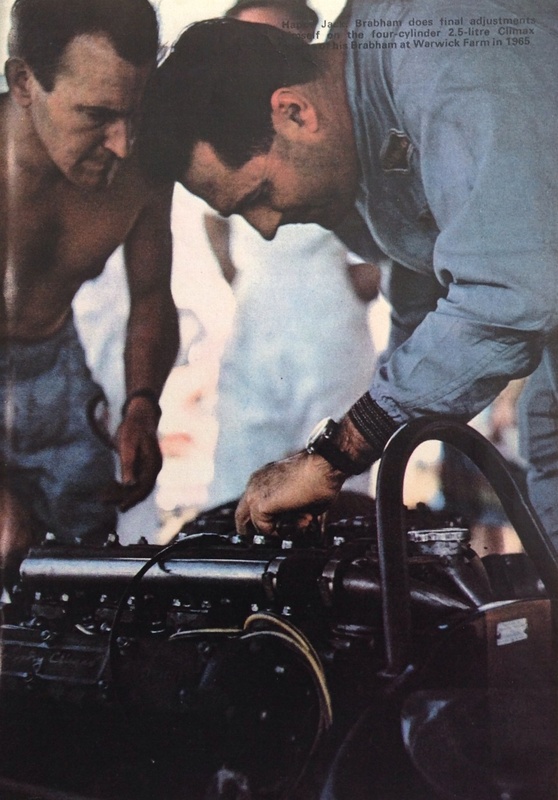 Long time BRO mechanic Roy Billington looks on as Jack makes final adjustments to the Repco built and maintained Coventry Climax 2.5 litre FPF engine. 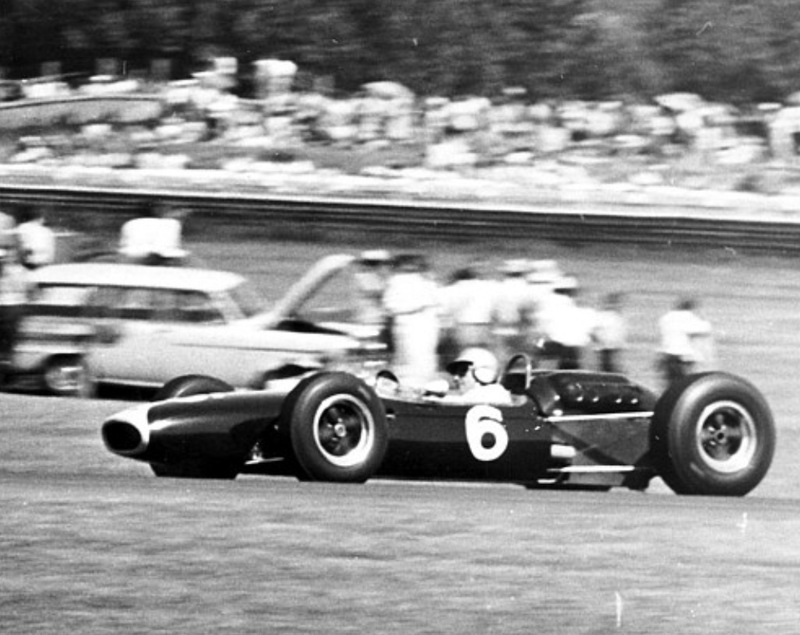 Jack finished second in the 45 lap race behind Jim Clark’s Lotus 32B Climax- Jim won the race, and three others to take the 1965 Tasman for Team Lotus. 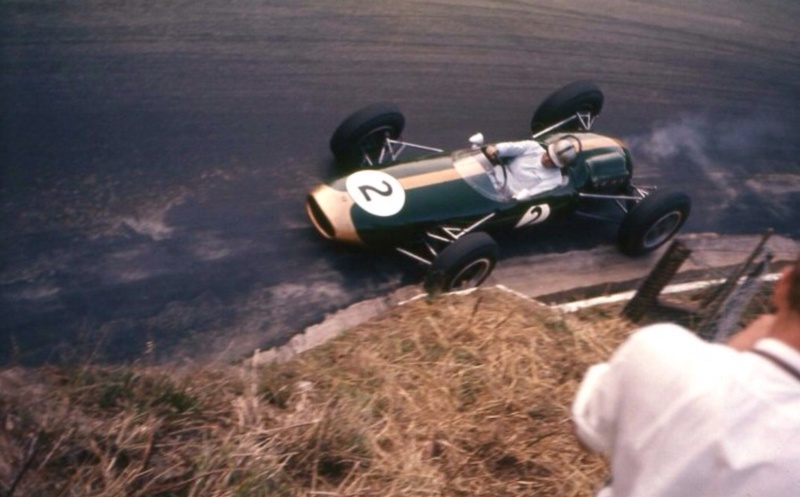 It was the start of an unbelievable year for the talented Scot who also won the F1 World Championship and Indy 500 in Lotus 33 Climax and Lotus 38 Ford respectively. Repco obtained the rights to build CC engines in the early sixties- they did a nice trade supplying the locals and Internationals CC 2.5 bits, for many years the engine de jour of the category. 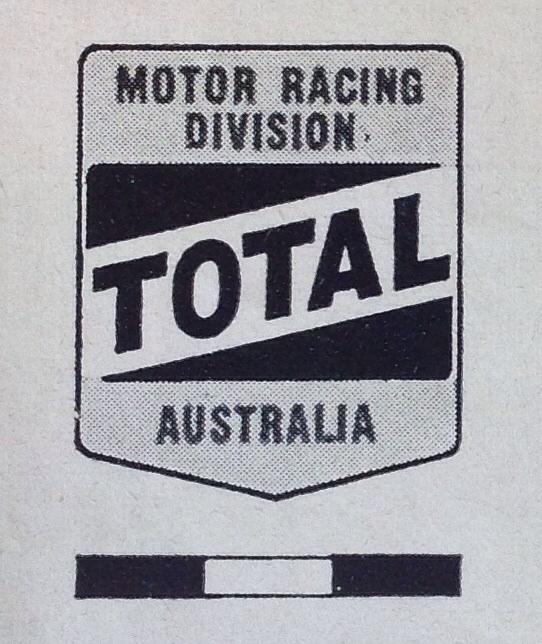 The Charlie Dean/Stan Jones fifties Maybach racing programs run out of Repco Research in Sydney Road, Brunswick created the ‘Repco Racing Culture’ and a swag of gifted engineers, fitters and mechanics who went on to do great things within Repco- and outside it. The short ‘Coventry Climax Phase’ under Frank Hallam’s leadership in Richmond was an important bridge to the ‘Repco Brabham Engines Phase’ at Repco in terms of men and Hallam’s assembly of the necessary equipment to build and maintain the engines. He bought tools, milling machines, lathes etc. Frank used his budgets wisely to both buy new clobber and refurbish older but far from inadequate machinery. 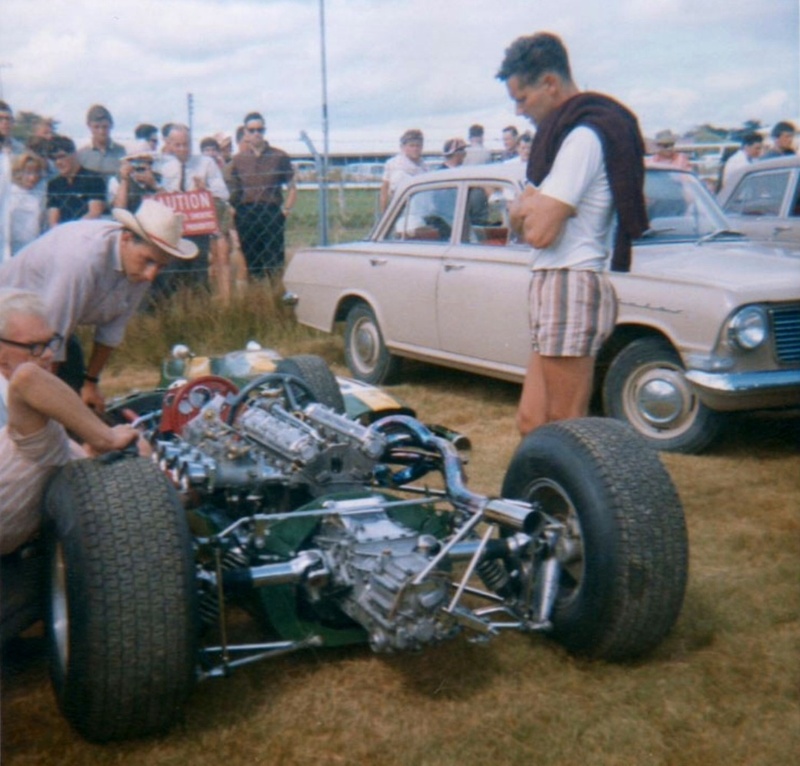 In essence, the Repco Board believed they had the capacity to build racing engines when Canny Jack pitched the RBE 2.5 litre, Oldmobile F85 based Tasman V8 engine to them in 1963/4. 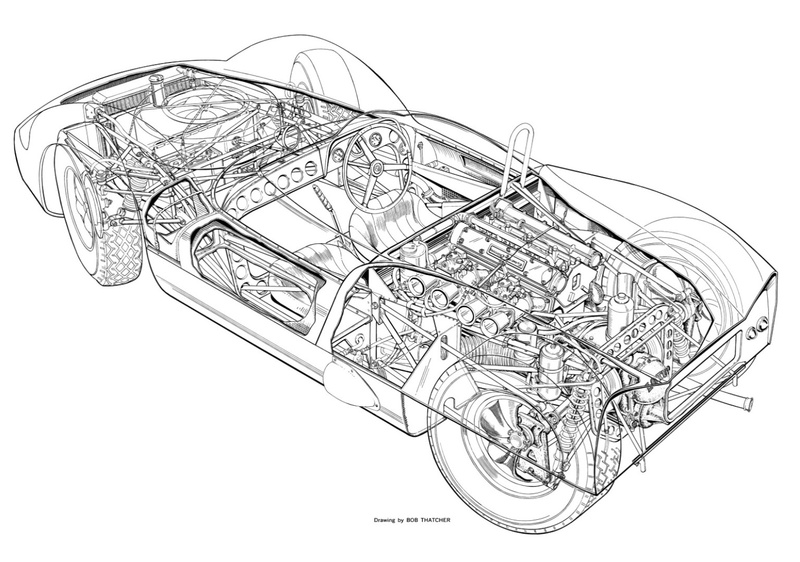 So, lets not forget the role the maintenance and limited development of the oh-so-successful Coventry Climax 2.5 litre FPF played in Repco’s ultimate 1966-1979 success. Why 1979 you say? The final national championship won by an RBE V8 was Paul Gibson’s win in the 1979 Australian Tourist Trophy at Winton in a Rennmax Repco powered by a 5 litre ‘740 Series’ RBE V8. Jack resting with a Coke whilst being offered some encouragement from a couple of supporters. He wasn’t well, feeling off-colour, in addition BT19 was late due to a waterside workers strike in the UK. 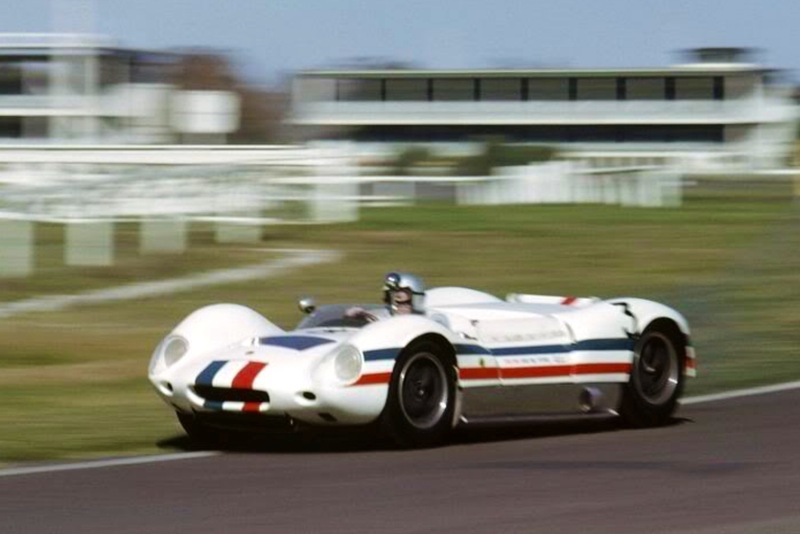 He had just taken the newish BT19 Repco ‘620 Series’ V8 combinations first win in the Silverstone ‘International Trophy’ a fortnight before so much was expected of the combination in the principality of dreams. 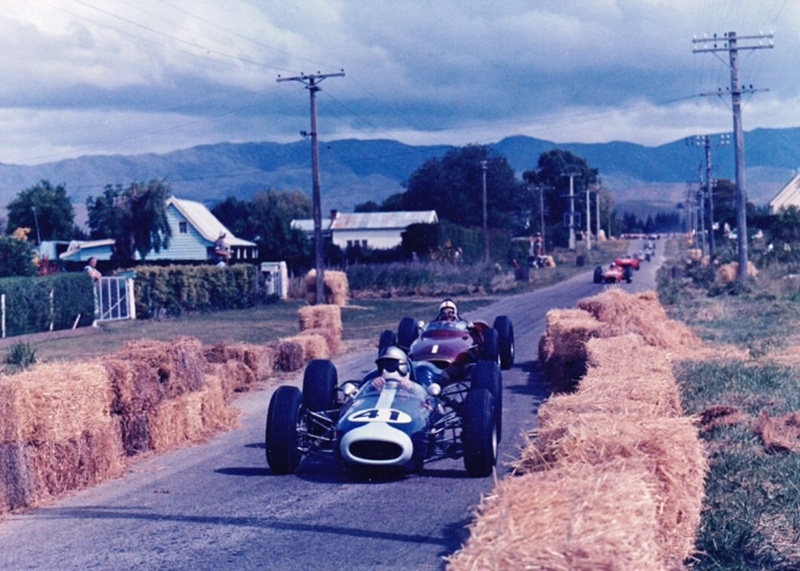 In the event the car jammed in gear from a lowly starting position leaving Stewart to win in a BRM P261- a 1.5 litre F1 car with a 2 litre ‘Tasman’ V8 fitted. 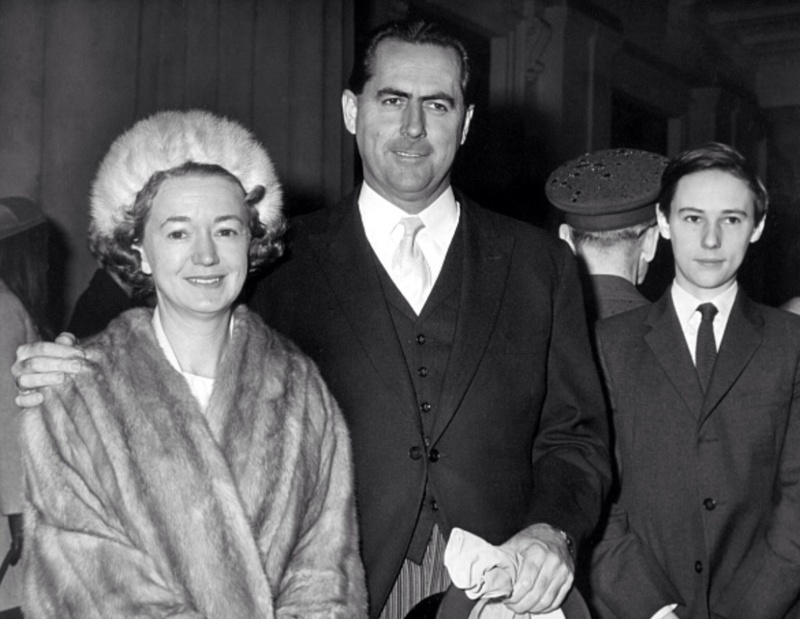 Betty, Jack and Geoff Brabham having collected Jack’s Order of the British Empire from the Queen at Buckingham Palace in 1967. He was further honoured with a Knighthood, ‘Knight Bachelor’ in 1979. Jack looks pretty schmick in tails but I imagine he could not get the ‘Topper’ off his head quick enough! It was the fifth event of the championship season and the first win for the reigning champion. 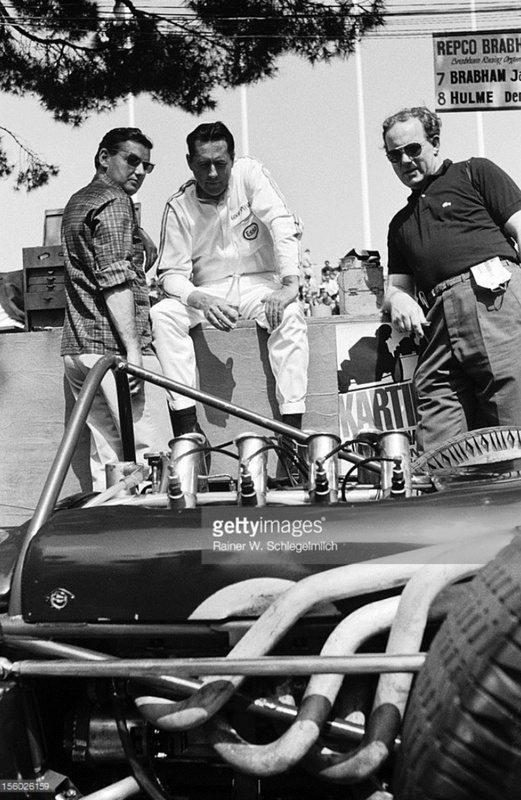 Meanwhile Denny was racking up a more than handy pile of points- which would win him the title from Jack and Jim Clark’s new Lotus 49 Ford DFV. Ain’t she sweet! 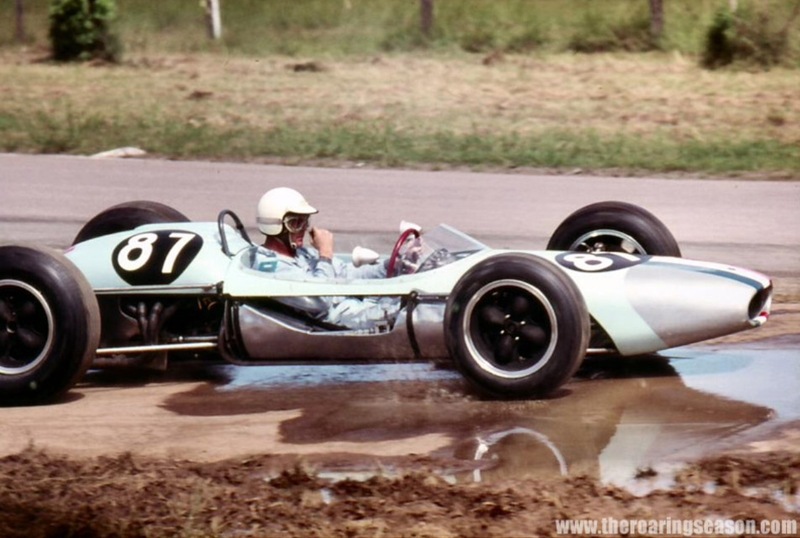 Ron Tauranac’s ’67 Brabham BT24 was one of his nicest, most cohesive, balanced GeePee designs. It had just enough of everything to do the trick and no more. Note the characteristic duct to take cooling air within the Vee to keep stuff cool down there, not least the Lucas fuel metering unit. Duct used in the warmer ’67 races. 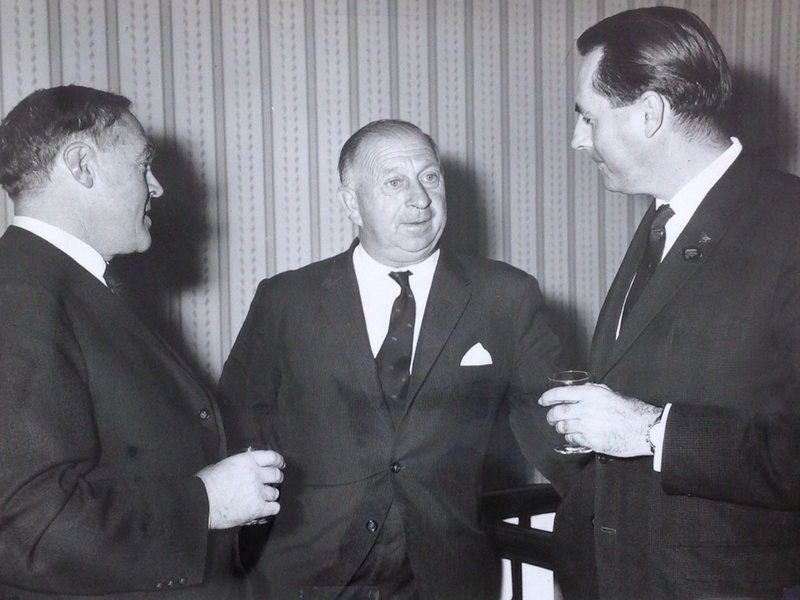 Jack with Sir Charles McGrath, long time CEO and later Chairman of Repco Ltd and longtime Premier of Victoria Sir Henry Bolte to honour the achievements of both Brabham and Repco in 1966. Jack’s suit lapel contains Repco and Goodyear pins reflecting the enormous contribution made by those companies to that success. Jack was a Goodyear early adopter and reaped all the benefits, in no small measure due to his ongoing testing feedback about the product. Proof positive he likes his icecream! 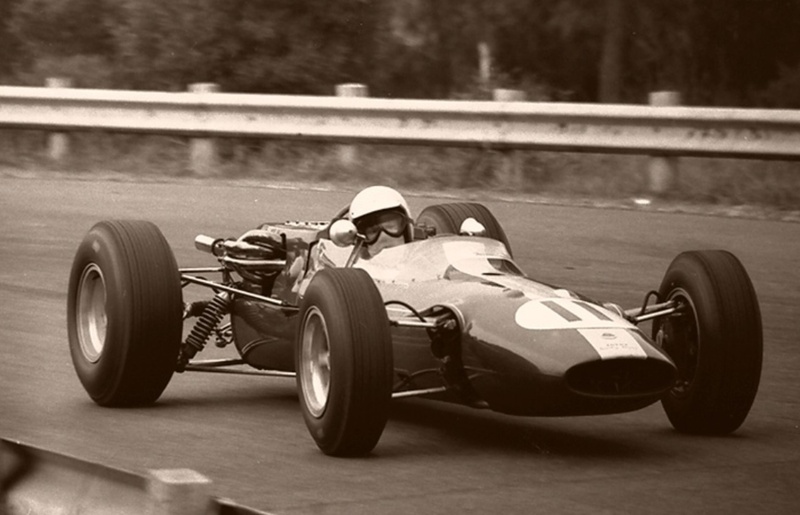 However light Ron Tauranac’s BT24 chassis was, the Repco ’67 ‘RB740’ V8 was still only good for 330 or so neddies compared with the 400’ish of the quad-cam 32 valve, new Ford Cosworth DFV. This aero experiment was successful in making the car slip through the air better but Jack had difficulty placing the car accurately through the complex, compound curvature of the screen so the project was abandoned. 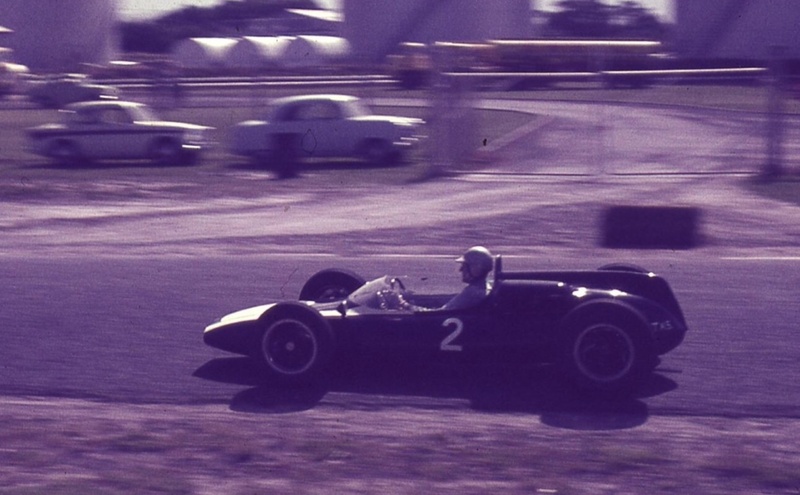 A works BT23 F2 car was also tested in similar manner. 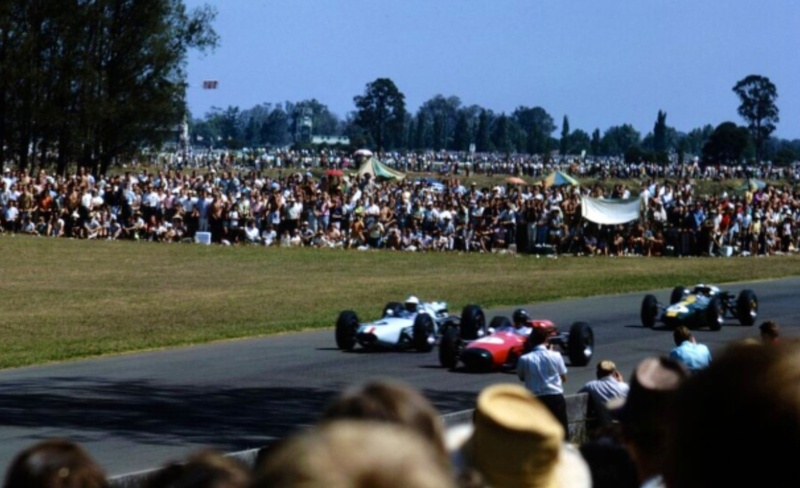 This was the famous race in which Jack lost out on a last lap, last corner, braking manoeuvre with John Surtees Honda RA301 V12- losing out to finish second with Denny again behind in third. 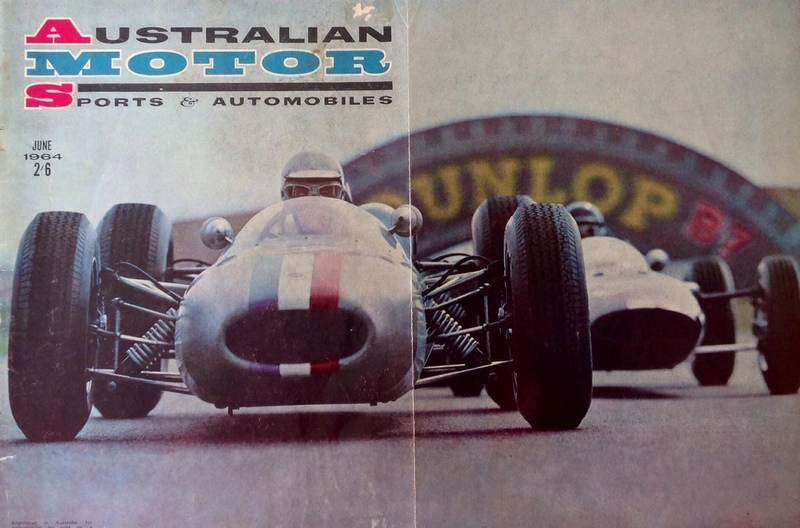 The big, beefy ‘Hondola’ had heaps more power than the Aussie V8 but equally as much bulk- the ‘pork chops’ of the era were the Hondas and BRM P83 H16. 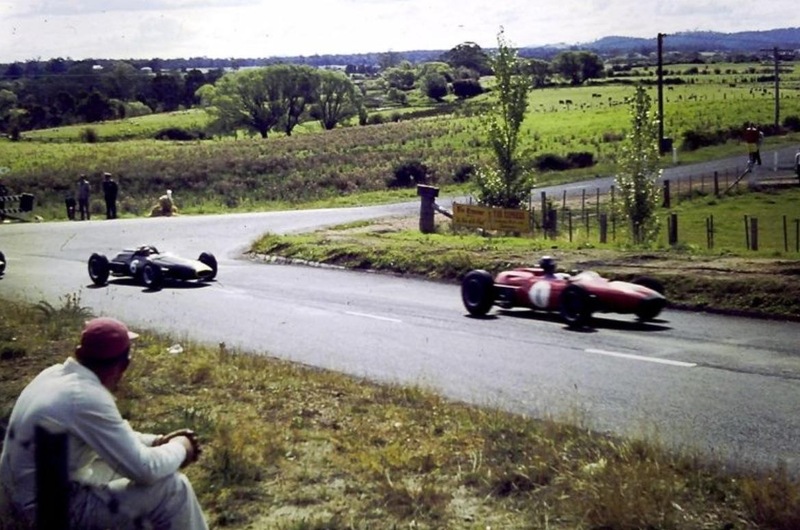 The leading ‘lithe and nimbles’ were the BT24 and Lotus 49. 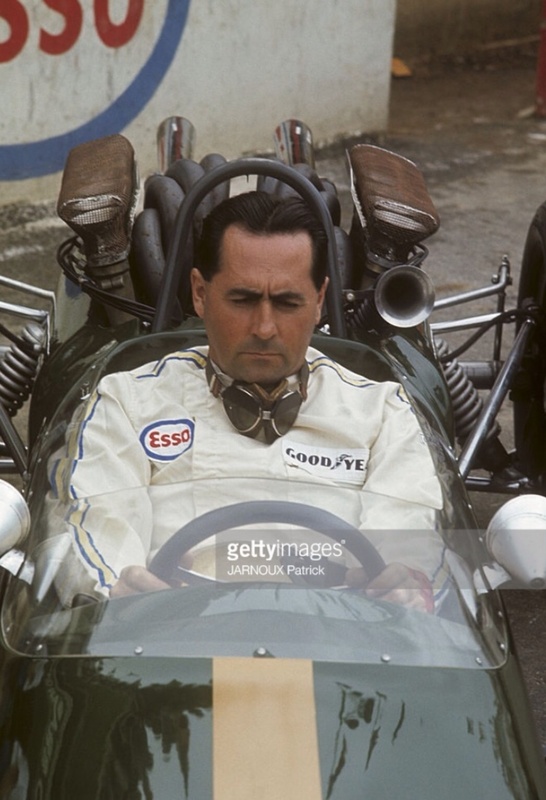 Brabham was a leading light of the fifties and sixties racer/pilots wasn’t he? Chapman, Hill, Clark and Reventlow all spring to mind. But there were plenty of others. 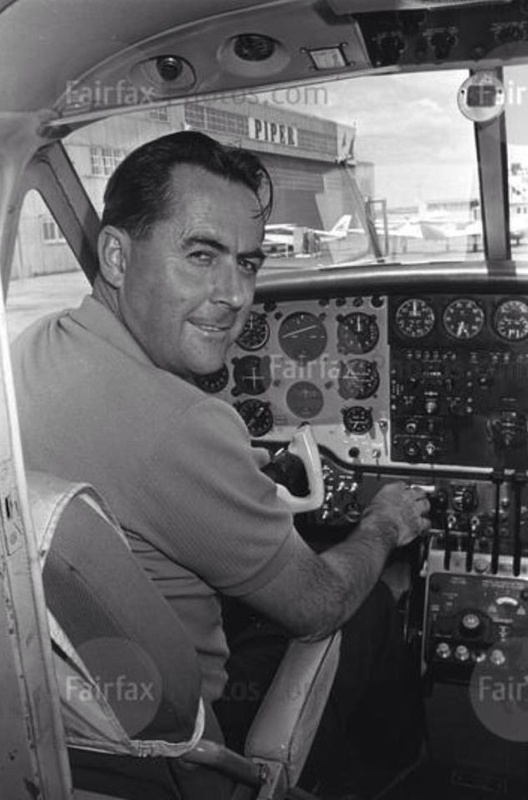 Here Jack has just arrived from the UK to Bankstown, Sydney on 11 February 1968. 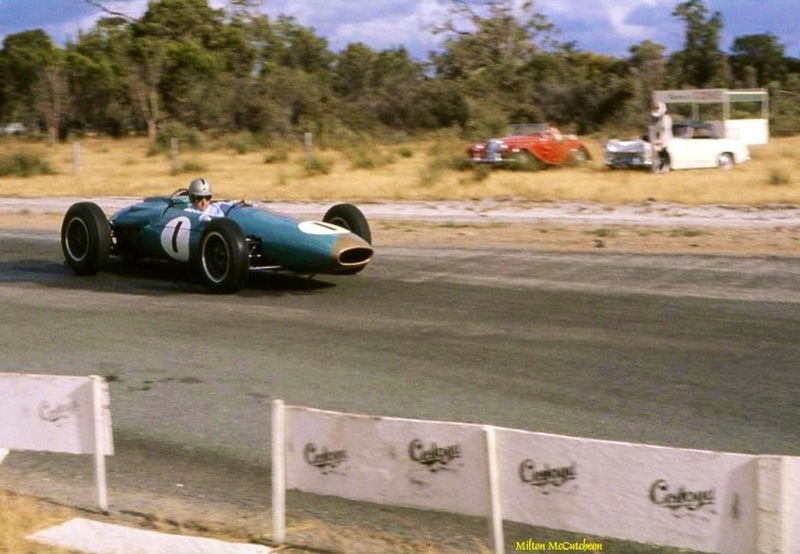 That year he did a truncated two race Tasman in a beautiful Brabham BT23E Repco ‘740 Series’ V8. 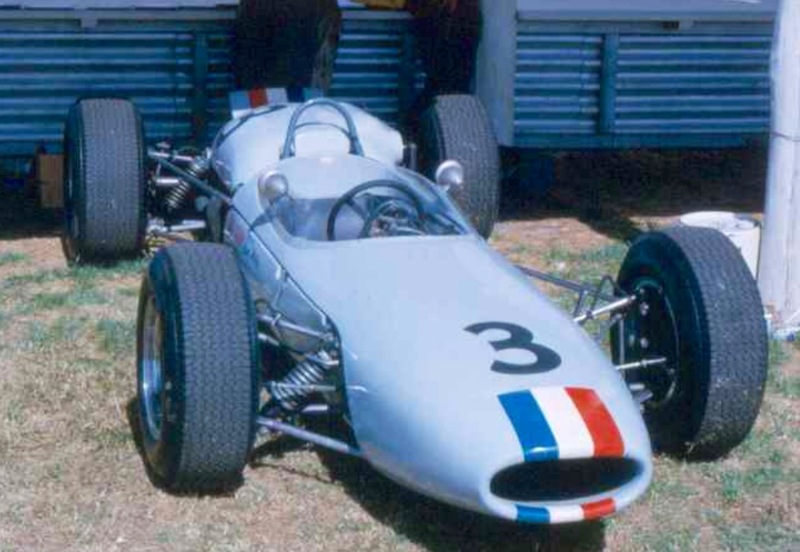 It was another lightweight purpose built Tasman jigger built on Tauranac’s F2 BT23 jig that could have nicked the title had he raced at all of the rounds. 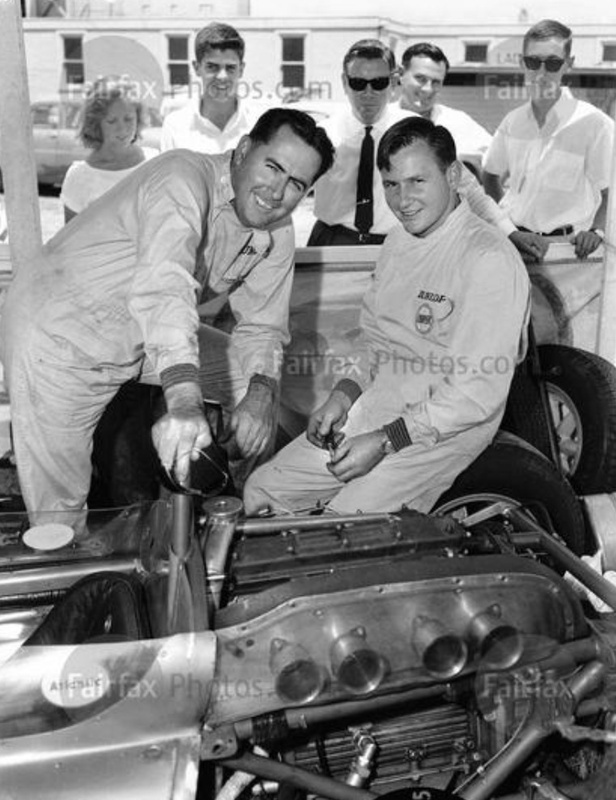 Mind you Jack would have had to knock over the two Gold Leaf Team Lotus Lotus 49 Ford DFW’s of Clark and Hill to do so. 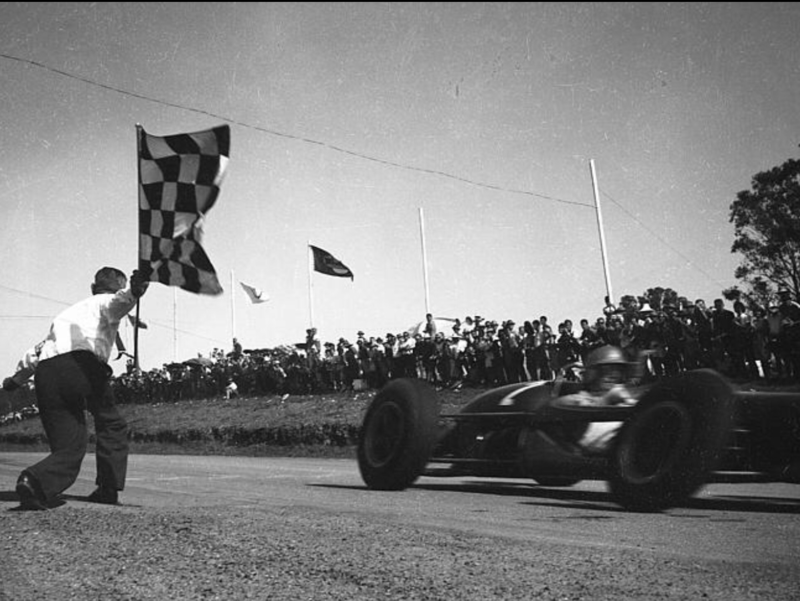 Clark was on tip-top form winning the championship with four victories. 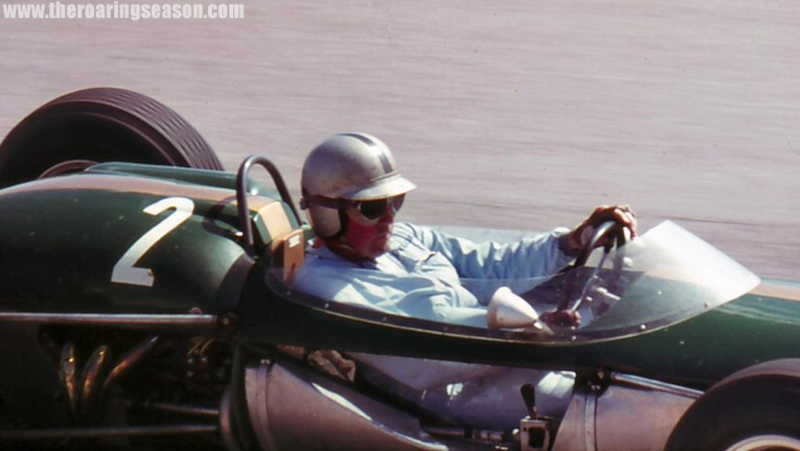 Jack testing his 1969 Tasman mount, his just assembled BT31, in the late afternoon at Calder the day before it’s race debut at Sandown for the final Tasman round. Chris Amon won the race and the series that year in his works Ferrari Dino 246T V6. 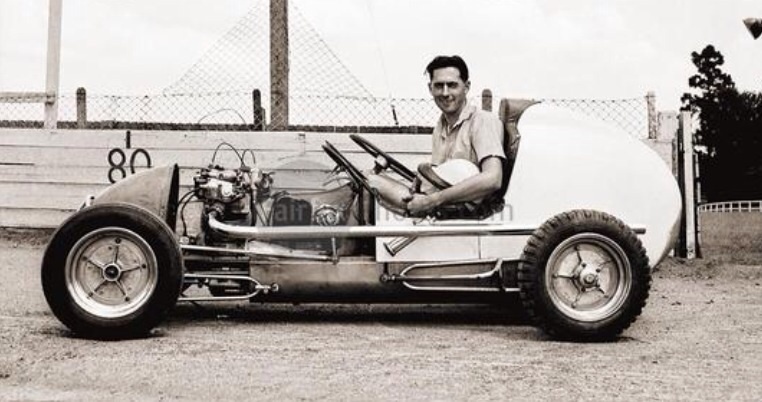 My mate, Repco’s Rodway Wolfe helped Jack assemble BT31 that February day. 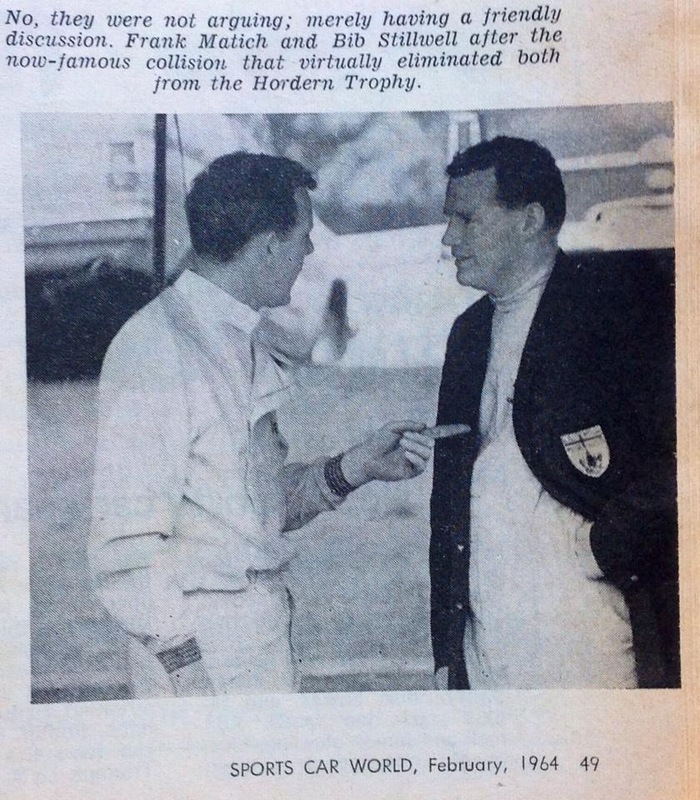 Years later he owned the car, read his definitive story of this two races in period only, works Brabham! 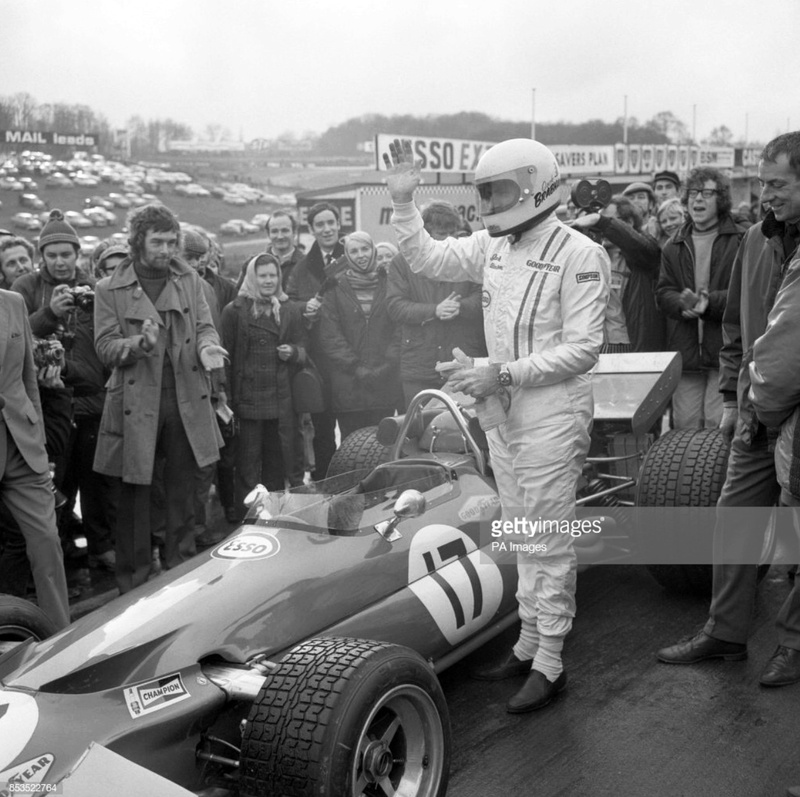 Brabham accepts the plaudits of the crowd after the last ‘drive in anger’ of his BT33, seven demonstration laps, it was his farewell appearance in the ‘Salute To Brabham Meeting’, behind him is Ron Tauranac his business partner and designer of their cars. Whenever I see this fence I think of the number of times I jumped over it as a youngster. Not right there mind you, that spot was way too public. 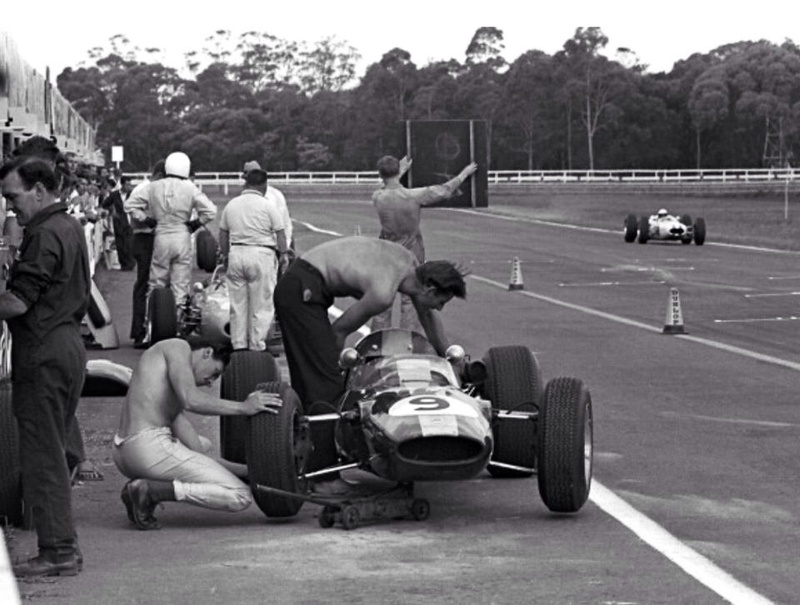 Clark’s victorious Lotus 32B Climax FPF is at left- he won five of the seven Tasman rounds and Jack’s Sandown winning Brabham BT11A is being fettled by Roy Billington and the chief himself. The senior advisor, Gary Brabham is just short of 5 years old i think. Check out the ‘Sandown muffler’ on JB’s car. And the crowd takes it all in. Jack retired from F1 and racing, sort of, he actually won a Formula Ford Race Of Champions in a Bowin P4X in 1971, at the end of 1970. Then there was his touring car ‘Dame Nellie Melba’ return in Taxis in the mid-seventies. 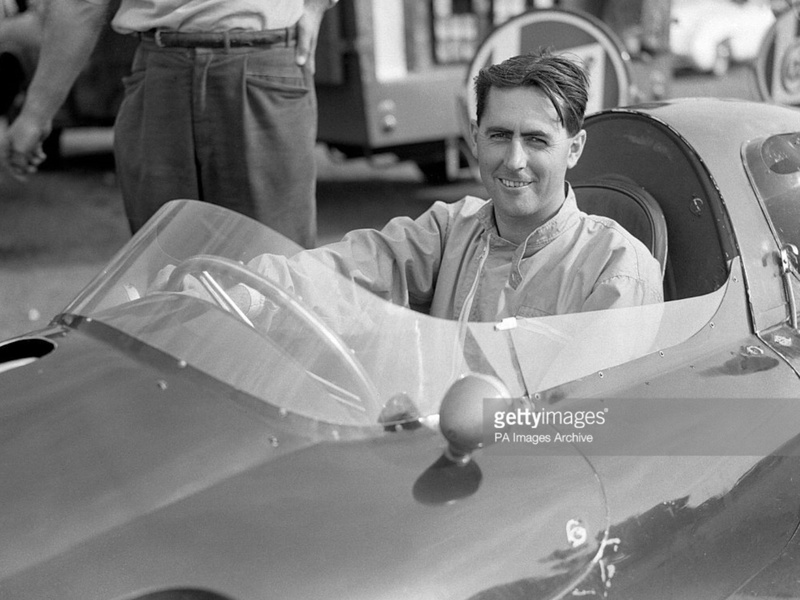 He sold his interest’s in Brabham Racing Organisation and Motor Racing Developments to Ron Tauranac and returned to Australia, at that stage having essentially an aviation business, Jack Brabham Ford on the Hume Highway at Bankstown and a farm at Wagga Wagga, 450 Km from Sydney, where he hoped to keep his sons well way from motor racing! I’m such a sad little unit I can identify that tyre as a G800 Goodyear, not a bad radial in 1971 when this shot was taken. 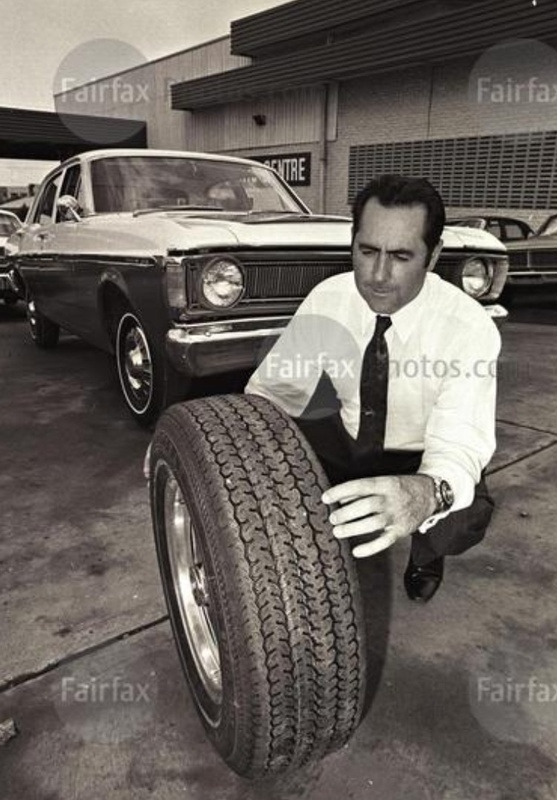 Jack was a ‘Goodyear Man’, I suspect this is some sort of promotion for the tyre and or the Ford Falcon XY behind the great one. 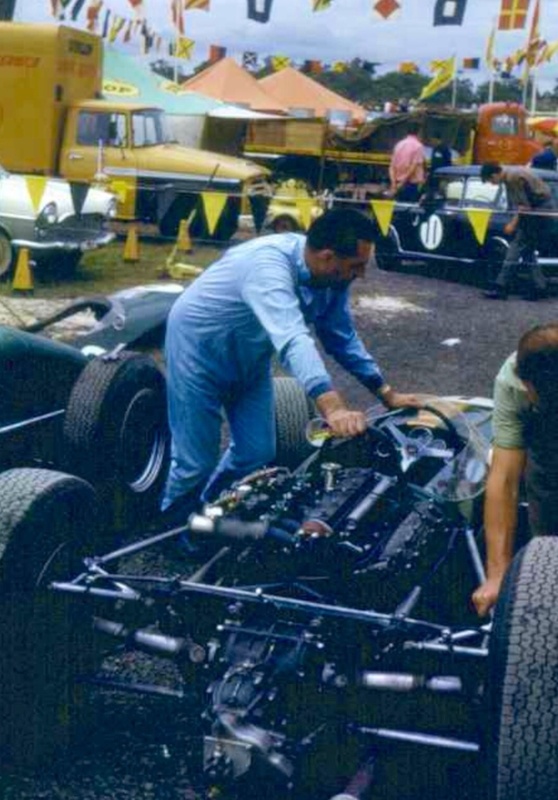 Jack Brabham Ford offered a range of ‘tricked up’ Fords. Posted: January 2, 2018 in Obscurities, Who,What,Where & When...? 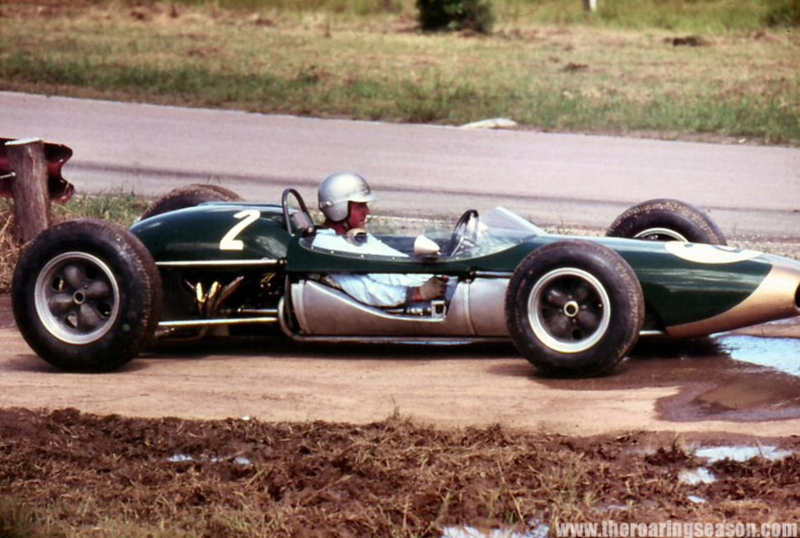 Palmer’s car is the ex-Jack Brabham works 1964 Tasman Series Brabham BT7A Climax FPF ‘IC-2-63’, Riley’s the ex-Tony Shelly Lotus 18/21 Climax FPF. When I initially saw this shot I imagined the cars were returning to the paddock but in fact they are entering what was in effect a single car at a time part of the track, a right-hander, the course was essentially rectangular in layout through the roads of Renwick. The Marlborough region is a stunning part of New Zealand, its the countries largest wine growing area, in the far north of the South Island and famous the world over for some marvellous Sauvignon Blanc whites. 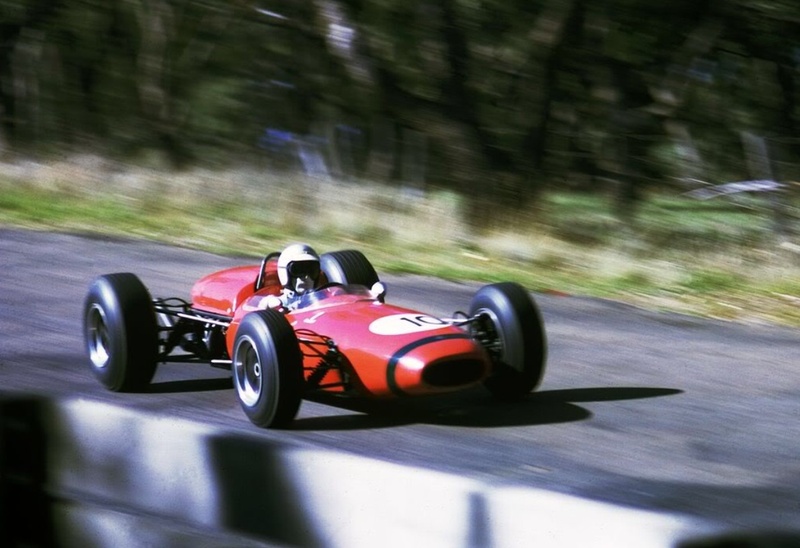 The Renwick event was run from 1961 to 1967 with Palmer having a bit of a mortgage on it- he won in 1964, 1965 and 1966 in Cooper T53, Brabham BT7A and Lotus 32B, the latter the car Jim Clark won the Tasman Series with in 1965. 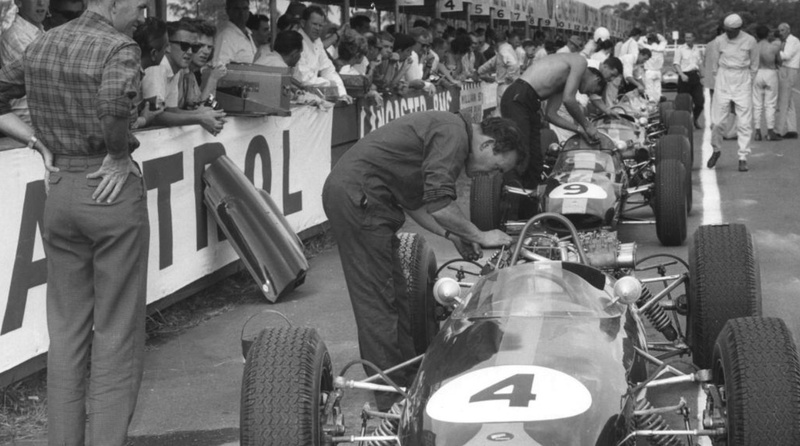 All of these cars were powered by the venerable 2.5 litre Coventry Climax FPF 4 cylinder engine- the World Championship winning engine of 1959-60. 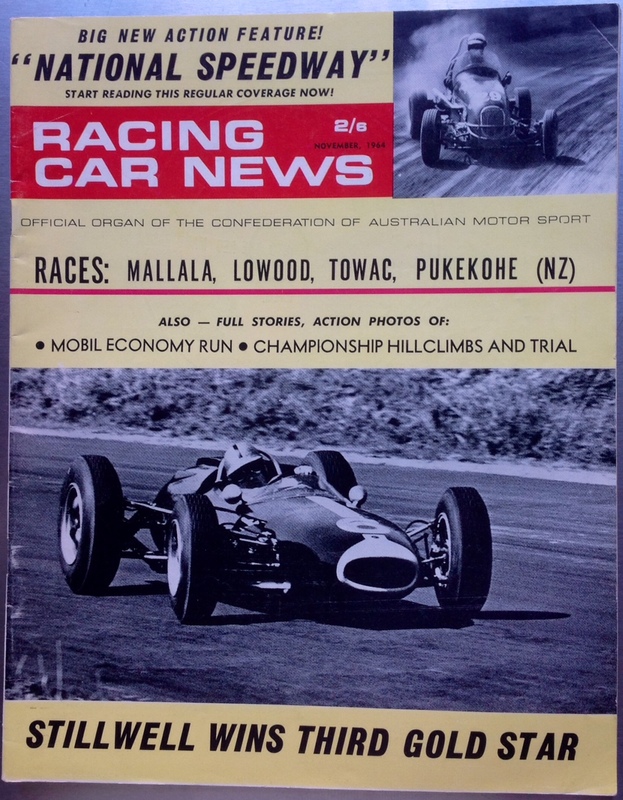 Palmer won the New Zealand Gold Star, the NZ drivers championship in 1964/5, 1965/6 and 1967/8 in the Brabham, Lotus and a McLaren M4A Ford FVA F2 respectively. A top driver he retired too early in my book, partially due to being unable to get an Australian CAMS racing licence, he was ‘long sighted’ in one eye. He also married and decided to focus on his business interests in the retail motor trade and commercial property, which centred on Hamilton where he still lives. 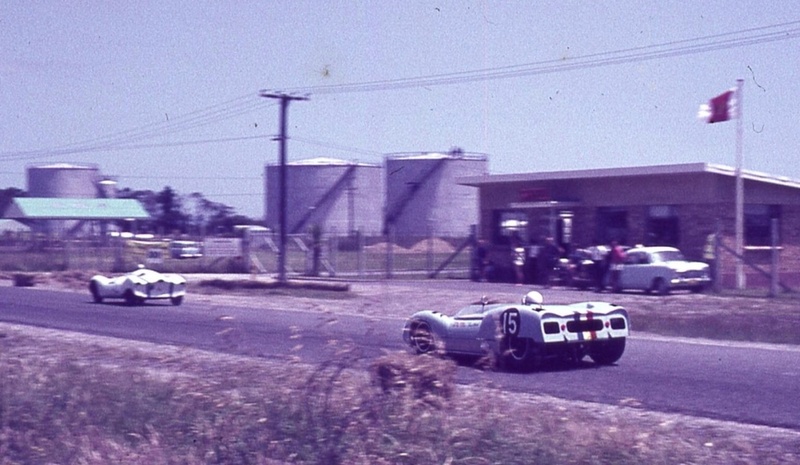 The 1964 Renwick 50 was run over 20 laps of the 2.414 km course (three variants of Renwick roads were used over the years) on 14 November, a smidge under 50 km in total. 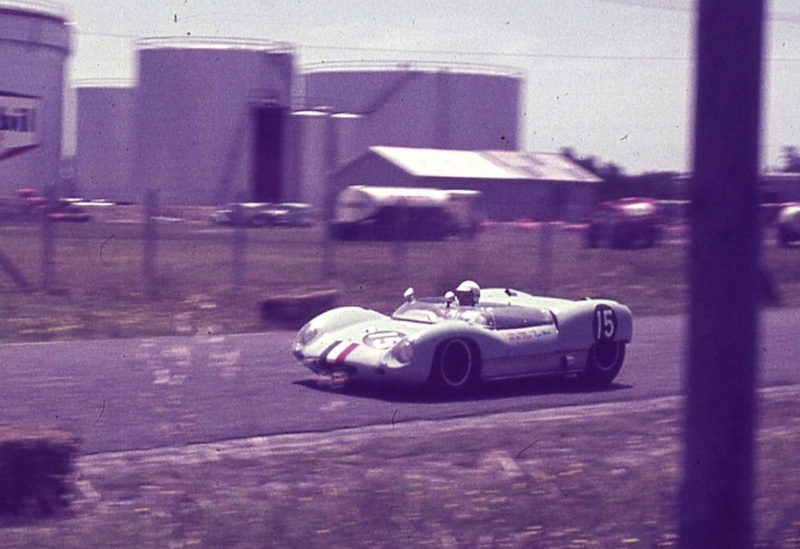 Palmer won and took the lap record at 1: 17.0 with Morrie Stanton, Stanton Corvette 2nd and Red Dawson in a Cooper T53 Climax 3rd. 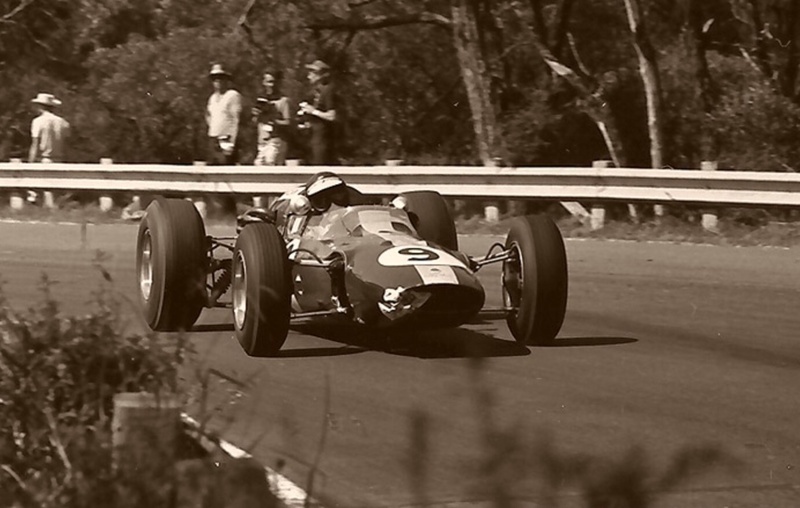 Check out this YouTube footage which shows the undulating, narrow nature of the circuit. Whilst the caption says 1965, the footage is from several of the Renwick meetings including 1964. Posted: May 22, 2017 in Fotos, Who,What,Where & When...? 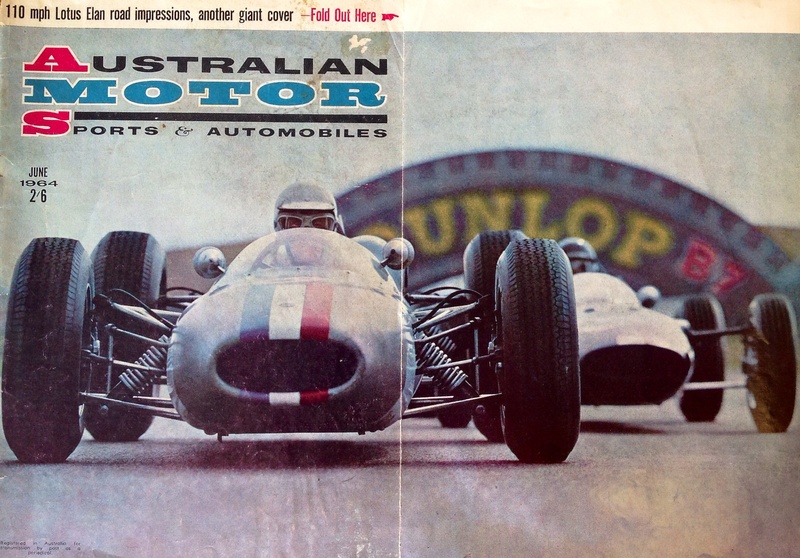 The magazine is the much loved and lamented ‘Australian Motor Sports’, the cover its June 1964 issue. The caption reads ‘…picture taken on the main straight up from the Dunlop Bridge, that’s the Dunlop R6 tread pattern photographer David Parker has caught so clearly on Frank’s car, at the April Sandown meeting’. 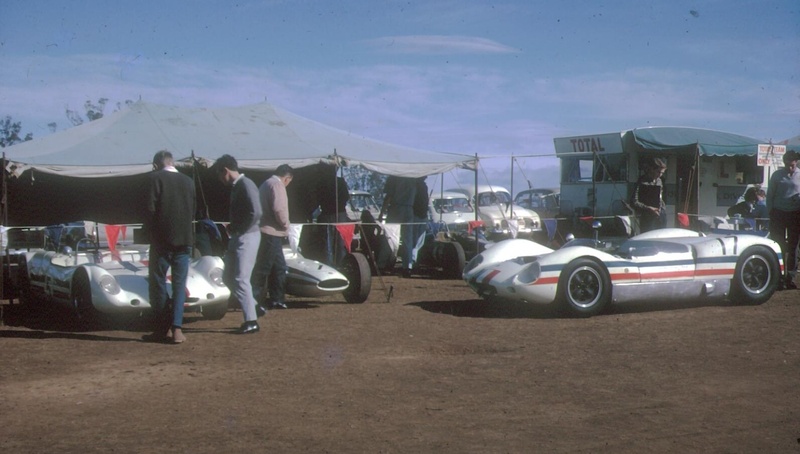 The 19 April meeting featured the Victorian Sportscar Championship which Matich won in the Total Team Lotus 19B Climax, the weekend for the team made almost complete by Geoghegan’s Lotus 27 victory in the ‘Victorian Trophy’, that year limited to 1.5 litre cars. 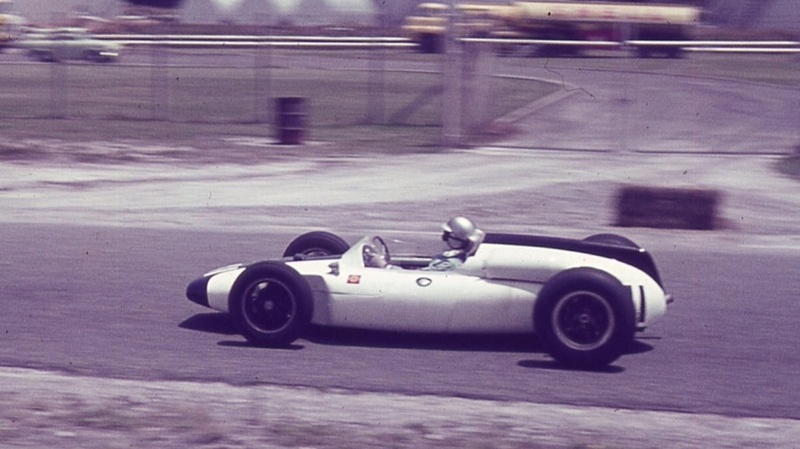 Matich retired the Brabham with gearbox problems in the 15 lap racing car feature for ‘Tasman’ cars whilst in the lead, the race was won by Lex Davison’s Brabham BT4 Climax. At the time the French oil company had aggressively entered the Australian retail market. Formation and promotion of this team, launched in July 1962, was an important part of their marketing and positioning strategy. Total supported the Matich and Geoghegan team cars of Frank, Leo and brother Ian Geoghegan. Both Frank and Leo I have written about in detail, clink on the links below to read about them. Posted: February 22, 2016 in Fotos, Who,What,Where & When...? 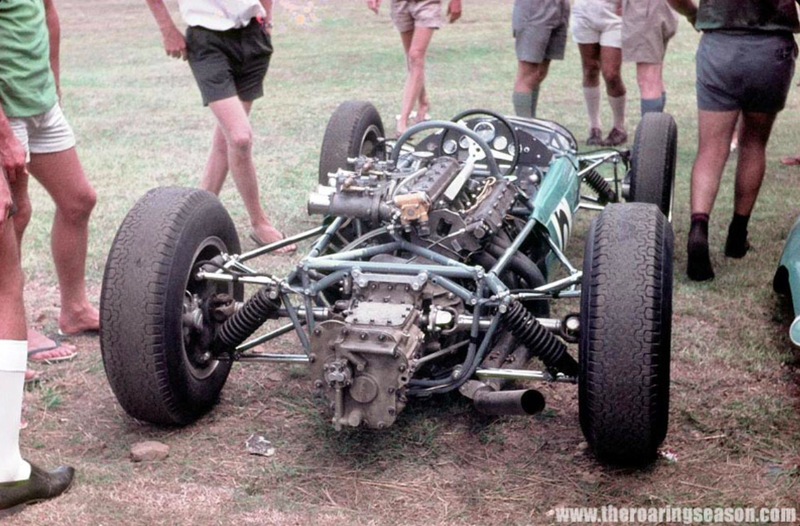 The photographer has created a ‘turn of the century’ distorted effect, the Brabham BT7A Climax looks quite weird , the off-beat nature of the shot enhanced by the cars lack of bodywork to try and deal with the harsh, summer Queensland heat. 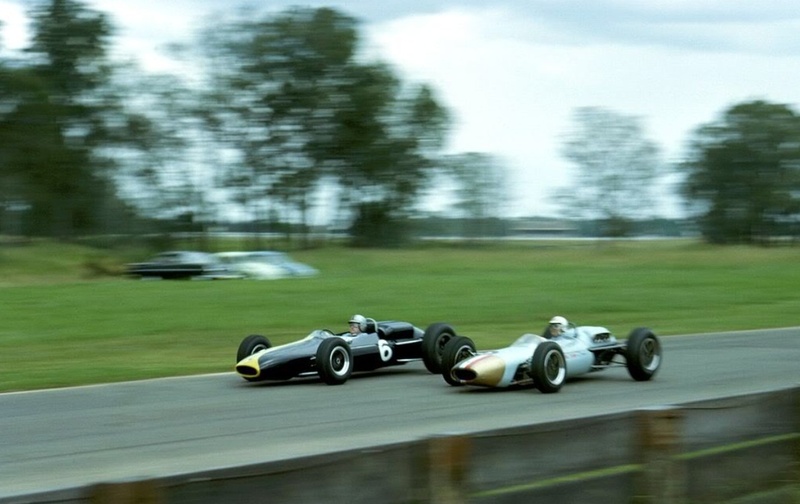 Brabham won the race from John Youl’s Cooper T55 Climax, Jacks ’61 F1 and ’62 Australian Internationals chassis and Bruce Mclaren’s Cooper T70 Climax. By the looks of these Peter Mellor shots the lead up to the race was wet, the tropical humidity would have made the race a real endurance test. 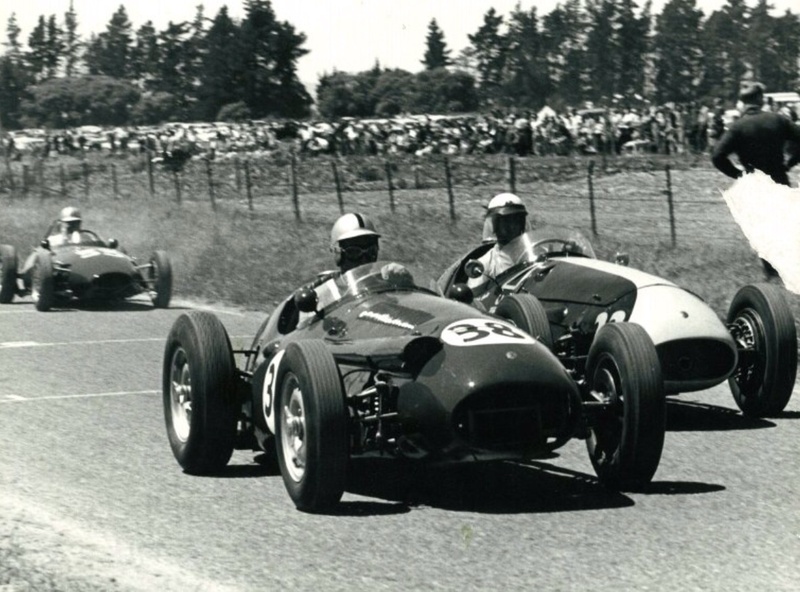 Bruce McLaren won the first Tasman Series, with both he and Jack taking 3 wins, appropriately Bruce’s in NZ and Jack’s in Oz!